Drummer, composer, and educator Adam Cruz was born in New York City and has been a vital creative force on the international jazz scene for the last two decades. He leads his own group, is an integral part of renowned pianist Danilo Perez’s trio, and regularly works with artists such as Tom Harrell, The Mingus Big Band, Joey Calderazzo, Chris Potter, Steve Wilson and Edward Simon. 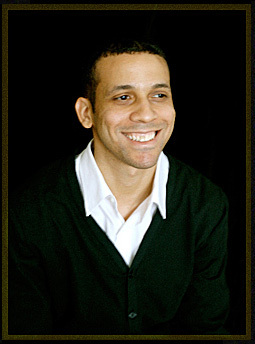 Adam currently teaches at CCNY and the Berklee Global Jazz Institute. As a drummer, Adam represents a unique place in the American jazz lineage. His mixed ethnic background informs his playing in ways that transcend easy stylistic categorization. The wealth of his rhythmic knowledge, his deep sense of jazz swing and his knowledge of Latin American rhythms, all coalesce into his personal sound, giving his playing a powerful depth and a rare and distinctive musicality. Adam first emerged professionally in the early 1990’s, performing and recording extensively with saxophonist David Sanchez and the Charles Mingus Big Band. He toured with pianist Chick Corea, recording Origin - A Week at the Blue Note. He spent the end of that decade touring as a duo with guitarist Charlie Hunter, and then began his long-term association with pianist Danilo Perez in 2000, along with bassist Ben Street. Adam studied at Rutgers’ Mason Gross School of the Arts and The New School for Social Research, where he received his BFA and his teachers included Joe Chambers, Keith Copland, Kenny Washington, Frank Malabe, Victor Lewis, Lewis Nash and Portinho. He was first introduced to music by his father Ray Cruz, a renowned New York-born percussionist of Puerto Rican heritage. His mother hails from a rich musical background as well. She is the daughter of Italian-American trumpeter Ricky Trent (who worked with Paul Whiteman and Tommy Dorsey) and Mildred Kapner, a Jewish-American dancer. The diversity of Adam’s background is greatly reflected in his work as a musician and educator. Throughout his illustrious career as a drummer, Adam has toured and recorded with artists as diverse as Danilo Perez, Tom Harrell, McCoy Tyner, Chick Corea, Pharaoh Sanders, John Patitucci, Eddie Palmieri, Joanne Braackeen, Chris Potter, Edward Simon, Steve Wilson, Charlie Hunter, and Lee Konitz. He continues to maintain a busy performing and teaching schedule, sharing his talent, knowledge and experience with appreciative fans all over the world.